There’s a world of difference between Little India Singapore and Marina Bay Sands area. One is an ethnic suburb with a reputation of being slightly dangerous. The other, needless to say has the most prestigious real estate in Singapore. Both areas are interesting and equality worth going even if you are just staying in Singapore for a couple of days. With much curiosity, I went to Little Indian on my own to find out what it really looks like. A 48 hours hop on hop off bus tour ticket will take you everywhere in Singapore numerous times. 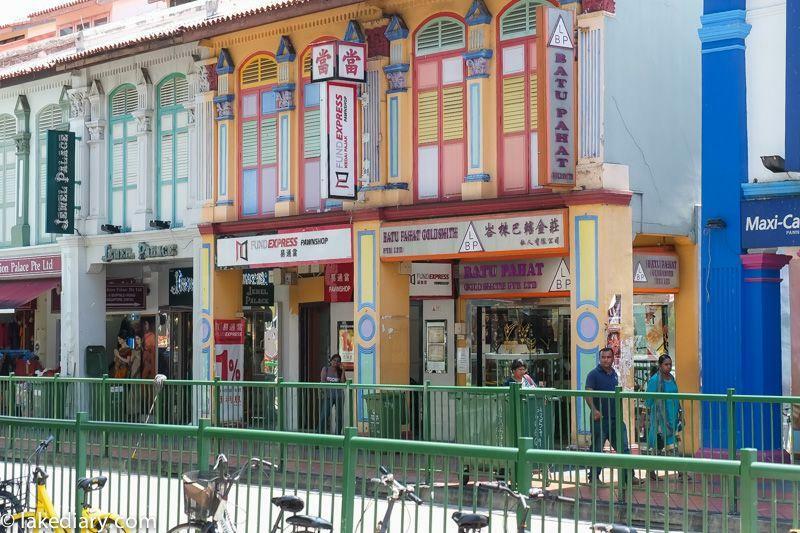 The hop on hop off tour includes walking tours in Singapore Chinatown and Little India Singapore. But I didn’t have time to take either of them. 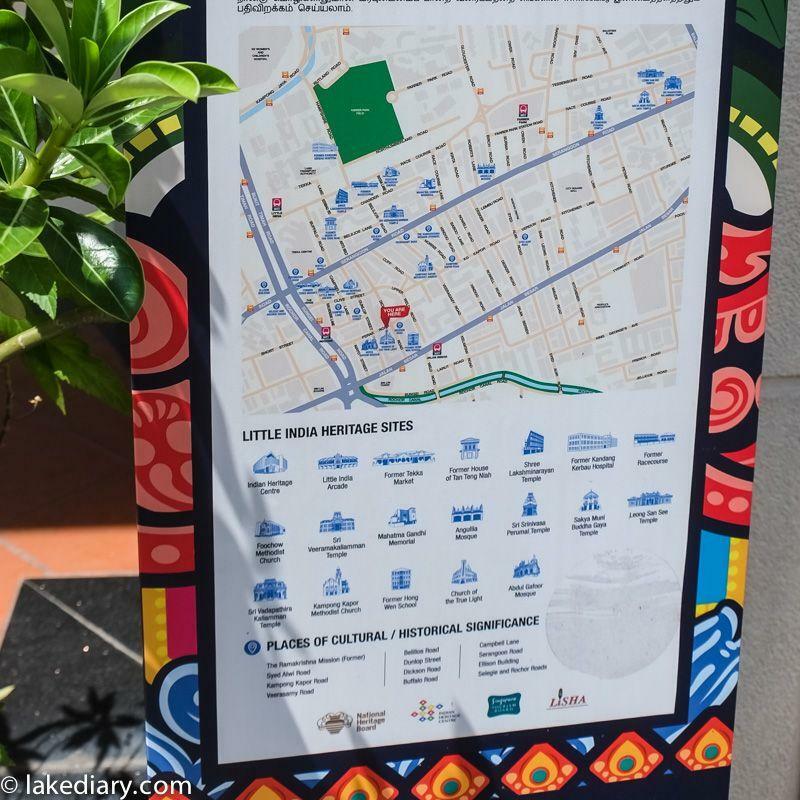 The audio tour offered detailed explanation of the rich history of the area of Little India. Little India Singapore once had a racecourse, cattle herders and brick kilns. Today it is one of Singapore’s most vibrant districts. Its rich colours, buzzing culture and endless food choices have left a deep impression on me. Little India is nothing short of colours. The moment you reach the neighbourhood of Little Indian, you’ll notice a burst of colours every where. 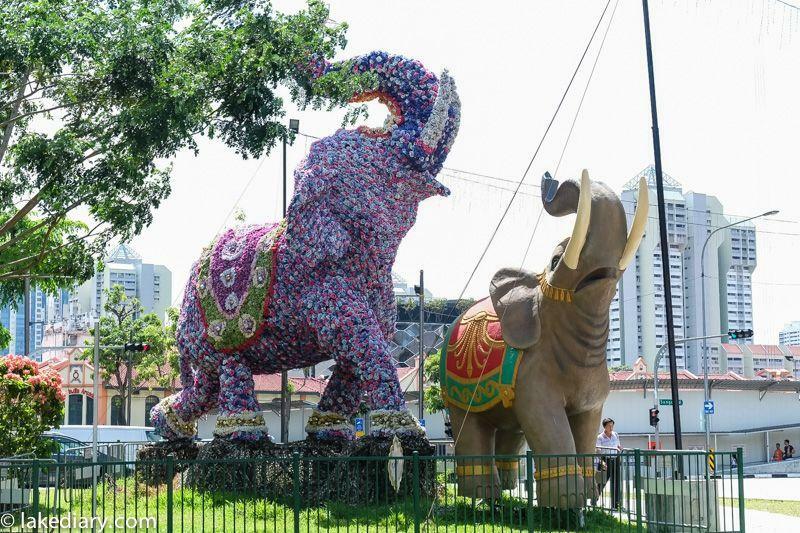 There are big elephant sculptures decorated in colourful flowers standing cheerfully in the middle of the main road. And you can’t miss the Little Indian Arcade in bright orange brown colour, even on a grey overcast day. Don’t you love these colourful, 2 story buildings with traditional folding windows? They are just adorable and pop up every where! 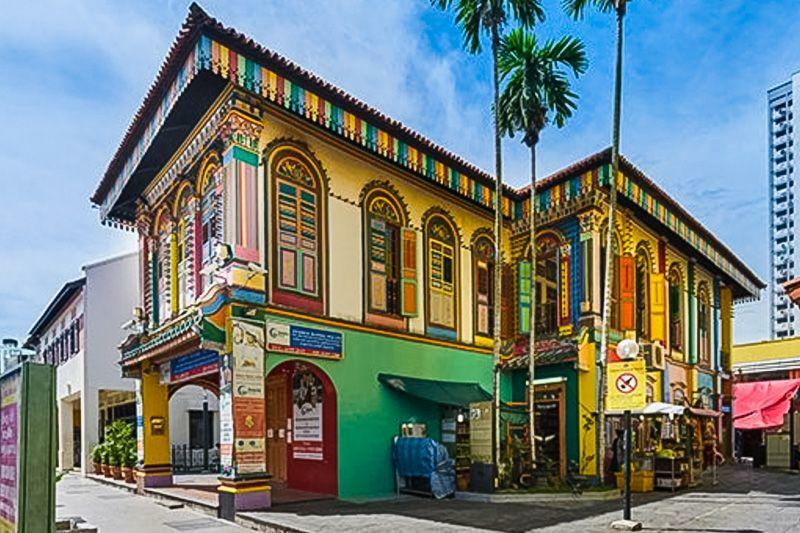 Possible the most colourful building in Singapore, the House of Tan Teng Niah stands out in colourful Little India with its bright rainbow exterior. It is one of the last surviving Chinese villas in a largely Indian enclave. 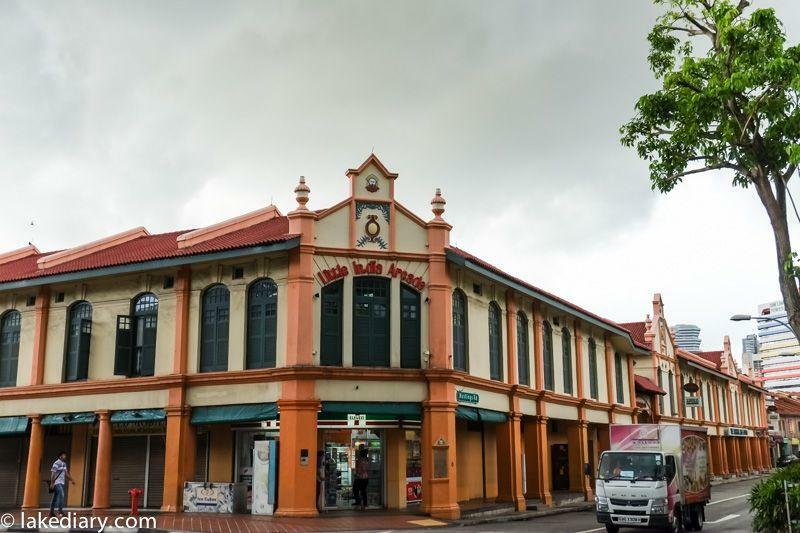 Its former owner Tan Teng Niah was a businessman who owned several sweet-making factories along Serangoon Road along with a rubber smokehouse, and it was said that he built this house for his wife. The house was originally white and green, its rainbow of colours have only added in more recent times. Today the building houses several commercial offices. Haven’t seek enough colours yet? 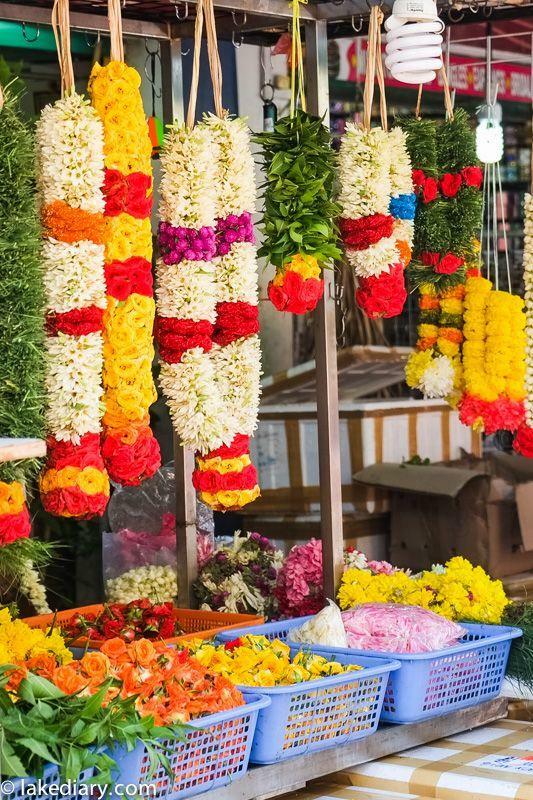 Check out those flower garlands stalls! There is however, one white building stood out from the colourful crowd in Little Indian. 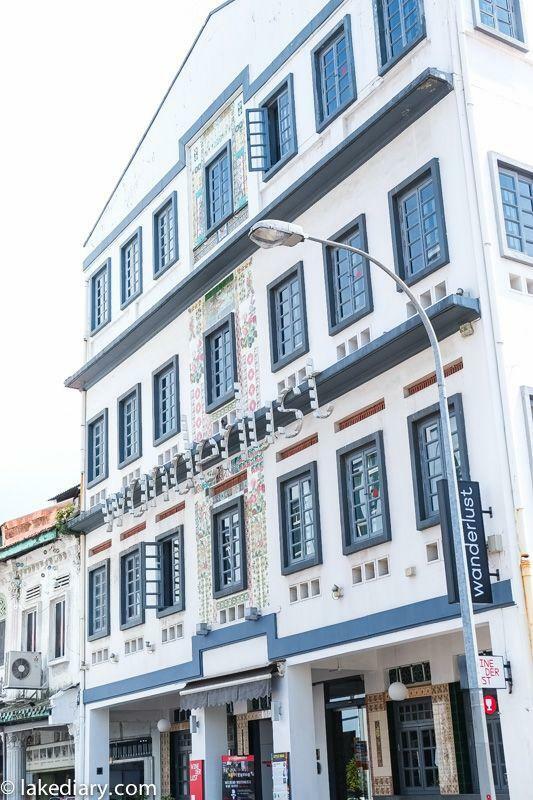 Housed in a 1920’s building in Little India, Wanderlust is a unique boutique hotel showcasing a diverse range of fun themes. Little Indian hosts a mix of Hindu and Chinese temples, mosques and churches. There are many heritage sites around for you to explore. This shiny modern building inspired by the Indian baoli stands out among the narrow streets and little old shops in Little India. 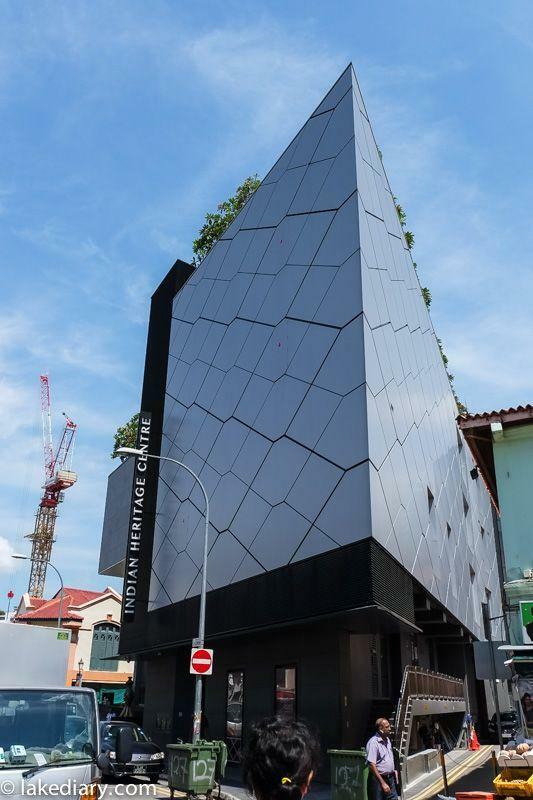 This four-storey building hosts a significant collection of artefacts promoting the diverse Indian diaspora and heritage, including a permanent exhibition of the history of the Indian community in Singapore. It’s educational, never too jam packed with people, and a great spot to chill out and soak in some heritage culture in a humid day. 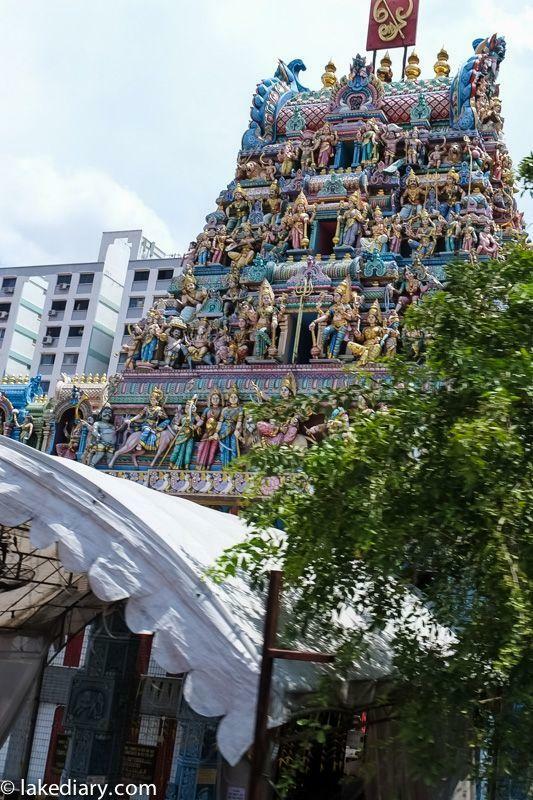 Sri Veeramakaliamman Temple in the middle of Little Indian is one of the oldest hindu temples in Singapore ( the oldest hindu temple is in Chinatown). It’s dedicated to the Hindu goddess Kali, fierce embodiment of Shakti and the god Shiva’s wife, Parvati, built by Indian pioneers who came and work here. The Sakya Muni Buddha Gaya Temple is also called the Temple of a Thousand Lights, due to the 15-metre-tall, 300-ton statue surrounded by what seems to be thousands of little lights housed within its walls. 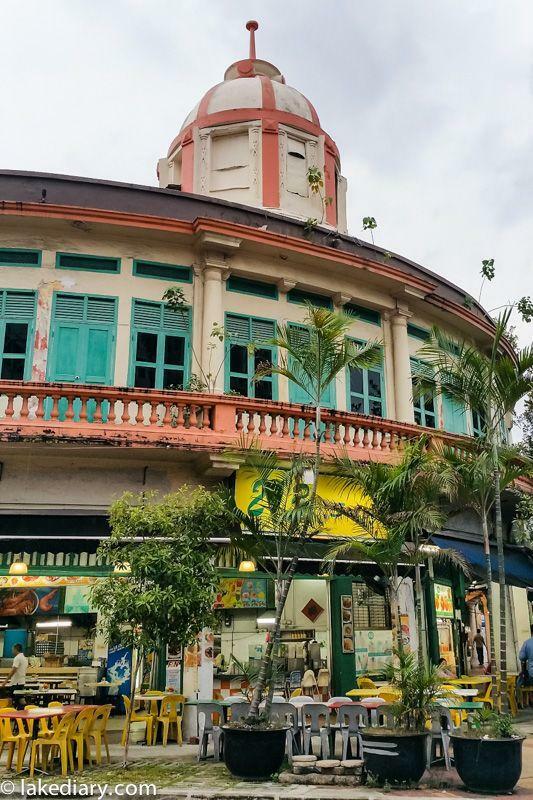 This Buddhist temple in Little IndiaSingapore is a mix of Chinese, Thai and Indian styles dating back to 1927. First constructed by Thai monk Venerable Vutthisasara as a simple zinc roof shed, it was later built in to its current form through donations by Aw Boon Har and Aw Boon Par, the entrepreneurial brothers who created the medicinal ointment Tiger Balm and Haw Par Villa. 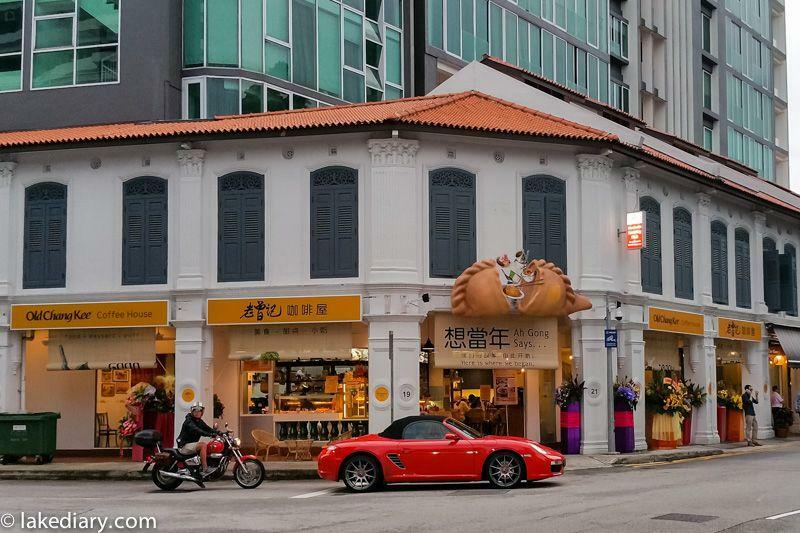 There are abundant places to shop for different types of goodies in Little Indian Singapore. Tekka Centre houses historically popular, Singapore’s largest indoor wet market, renowned for an incredible array of produce and hard-to-find ingredients. 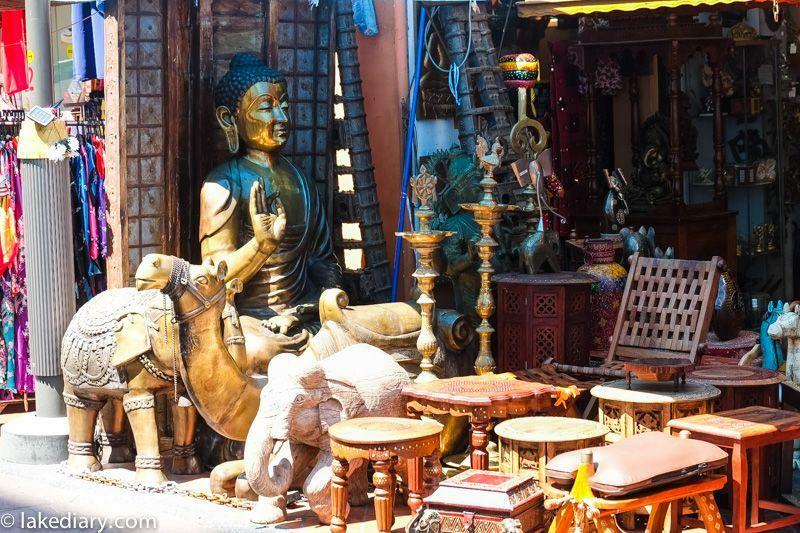 It is also home to a whole lot of sundry stalls selling everything covering household goods, religious paraphernalia and even tailoring services. The name Tekka comes from a Hokkien name meaning ‘foot of the bamboos’, a reference to the many bamboo plants growing along Rochor Canal. If you want to experience a genuine local shopping experience then head upstairs. The higher floors sell everything from Bollywood music to silk for saris. Mustafa Centre in Little India is open for 24 hours a day, housing Mustafa department store, which caters mainly to the budget market. The department store consists of two shopping centres: one retailing jewellery and household appliances and functioning as a supermarket, and the other selling a variety of other products such as books, DVDs, watches, electronic goods, footwear, toys and clothing. 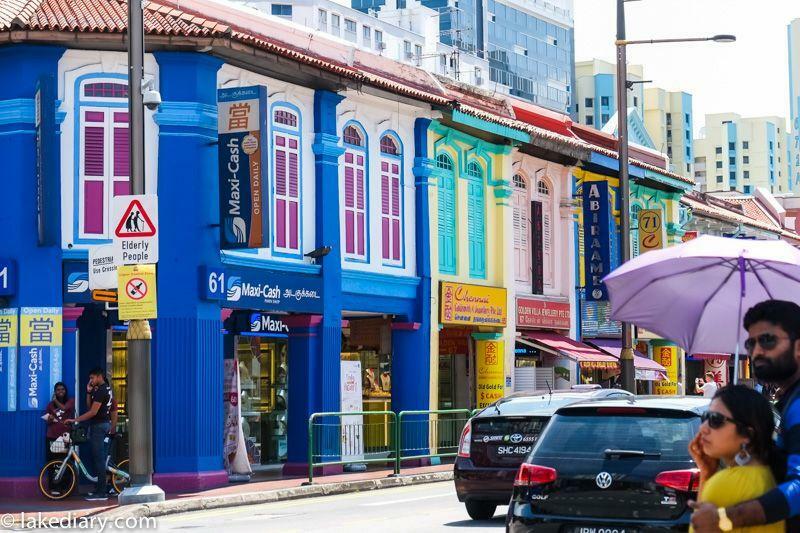 Little India Arcade is superb for picking up knick-knacks, costume jewellery and souvenirs at super cheap prices. Needless to say, Little Indian is everything about Indian culture. It’ll be a shopper’s paradise for anything Indian browsing those market stalls and little shophouses. Feeling hungry? 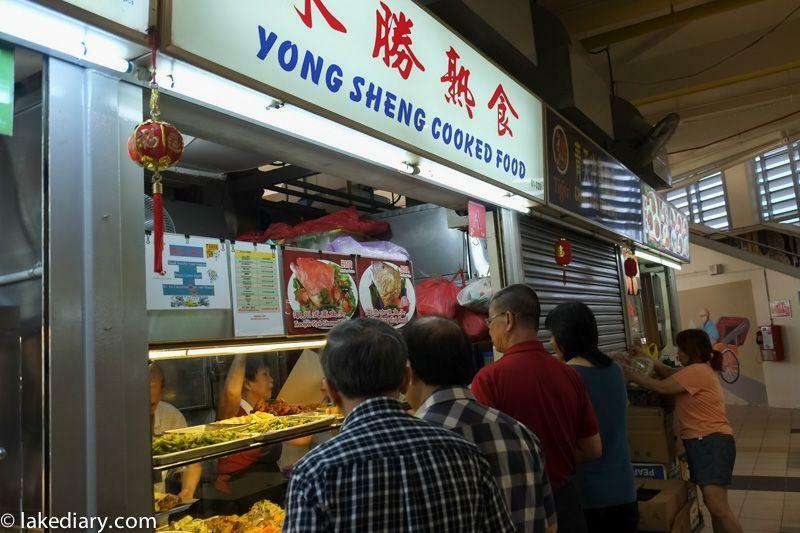 You won’t be starved in Singapore, especially in this part of town. There are big food centres, loads of restaurants all over the place ready to feed you. Out of so many hawker markets in Singapore, Tekka Centre is probably one of my favourites. 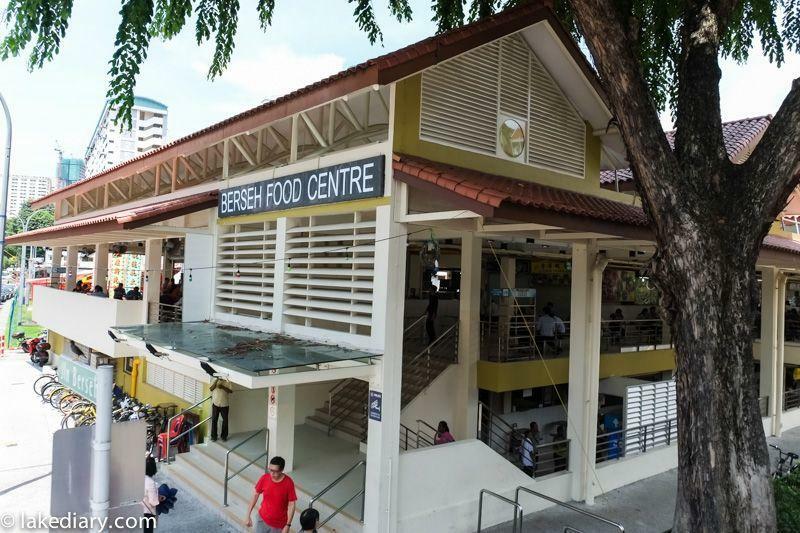 Tekka Centre is a landmark in the neighbourhood, serving up a variety of dishes of fresh food only steps away from the MRT at Little India. This brightly painted warehouse was renovated a couple of years ago and has quickly become a hub for those in search of decent food at honest prices. It stands out from the rest of the hawker centres in Singapore, serving predominantly Indian food, including a great number of Halal dishes. 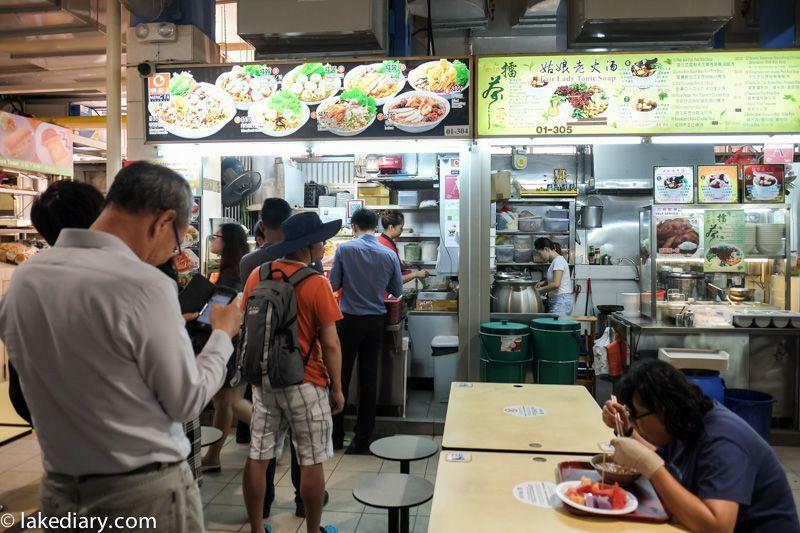 Inside it is set up like any other hawker centre, with rows of individual stores and tables around them. There are plenty stalls cater for all palettes whether you are after rich curries or a simple dish of duck and rice. So follow the crowds and delicious smells. It was very hard to decide what to eat when there are so many choices available. After a few minutes’ observation, I found a few stalls with people queuing in front during non rush hours. Eventually I joined the queue of Ming Fa because among all food stalls, this stall seemed to be the most popular at the time and I always love a big bowl of hot noodle soup. 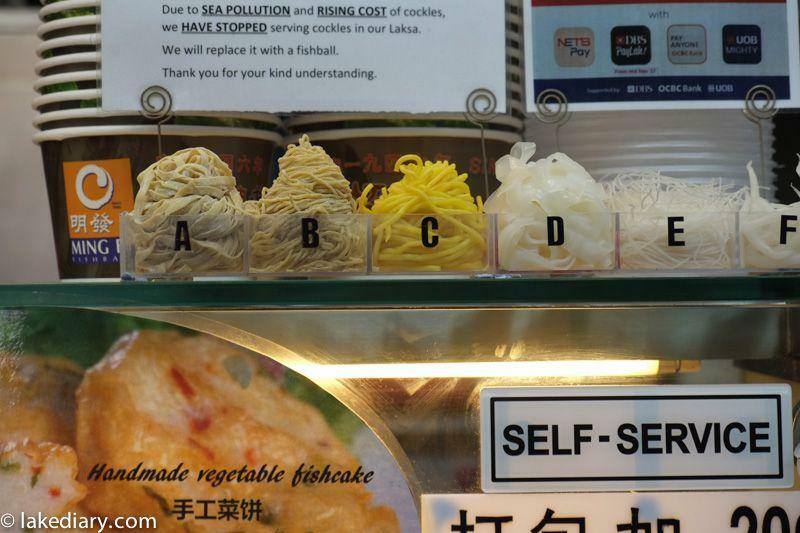 There are different types of noodles available showing in the cute tubs pictured below. People in front of me in the queue obviously are regulars of this stall. They were whispering that the service of one of the other stalls was always slow and Ming Fa was super fast. So they were right, a waitress took orders from customers in the queue and the guy behind the counter assembled different noodle soups in lightening fast speed according each individual orders. I enjoyed my laksa so much and will certainly visit again next time I’m in Singapore. 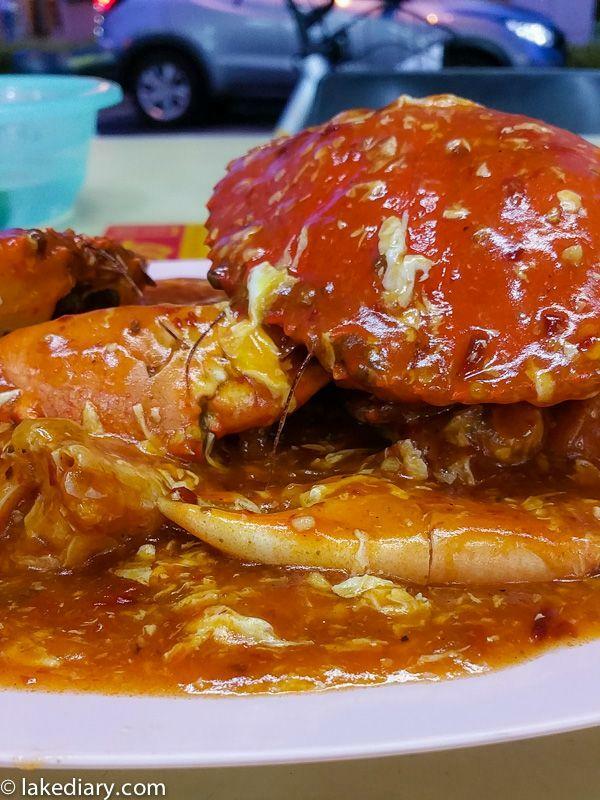 Of course, you can’t go to Singapore without having Singapore chilli crabs. There are plenty of places serving this tradition Singapore dish. But many food kiosks don’t service this dish unless it’s dinner time. 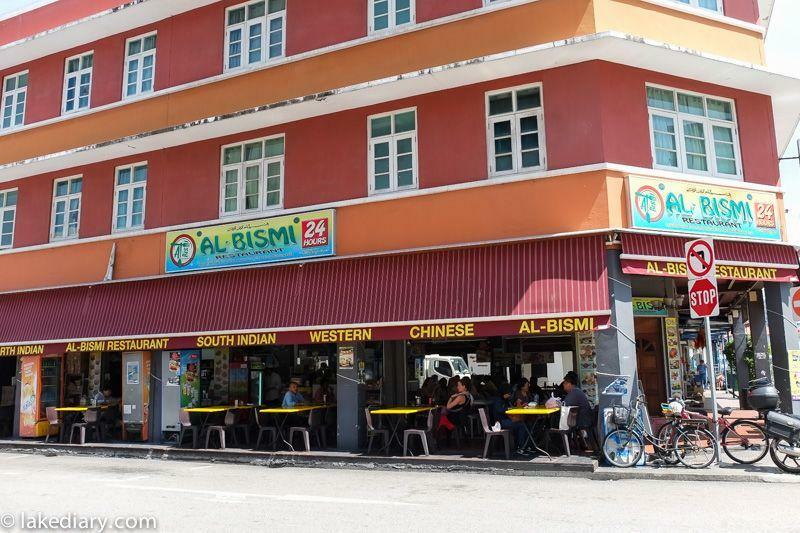 There’s a restaurant right at the corner of Mackenzie and Selegie Rd in the Neighbourhood of Little India Singapore, serving up fresh seafood and many traditional Singapore, Malaysian dishes. They’ll cook Singapore chilli crab for you with live crabs fresh from the water tans, any time during the day. Old Change Kee in Singapore is my favourite place to drop by for a quick bite to eat. I just can’t get enough of their curry puffs! 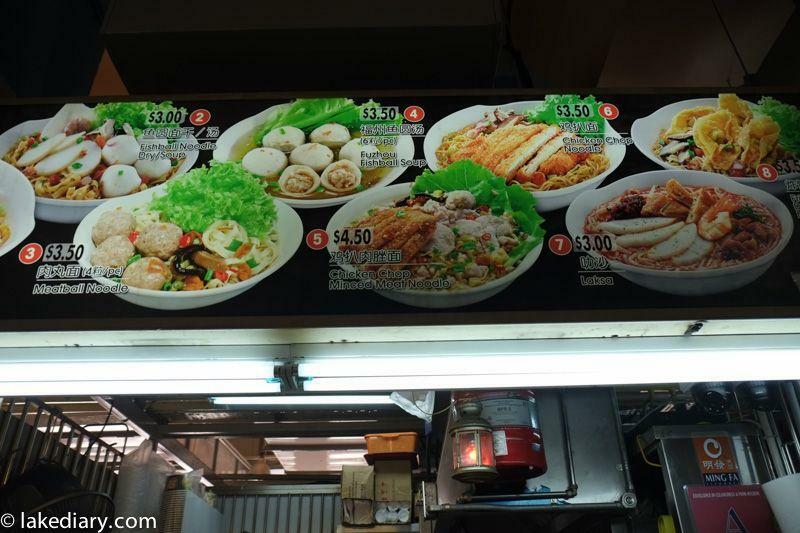 If you are a Old Change Kee fan as me, you’ll be delighted that they opened their flagship store – Old Chang Kee Coffee House at the original location of the first stall. It’s opposite Rex Cinema opposite Rex Cinema, where homegrown brand Old Chang Kee started over three decades ago. What began as a tiny stall in the corner of the local coffee shop, is now a bigger and brighter 50-seater space that spans three shophouse units. It offers tasty food, friendly & fast service and very pleasant atmosphere. 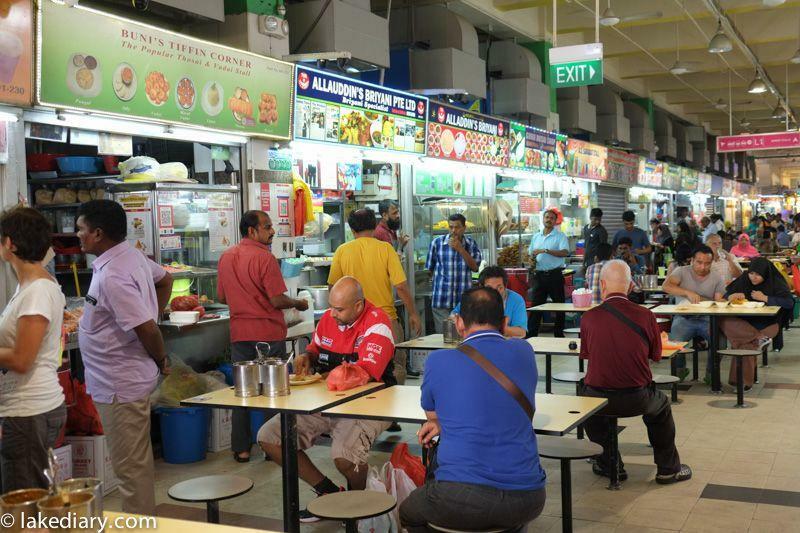 You might pay less elsewhere in Little India but it is totally worth it! You will have the old Singapore experience with proper porcelin utensils and lovely ambience, just like the good old days. 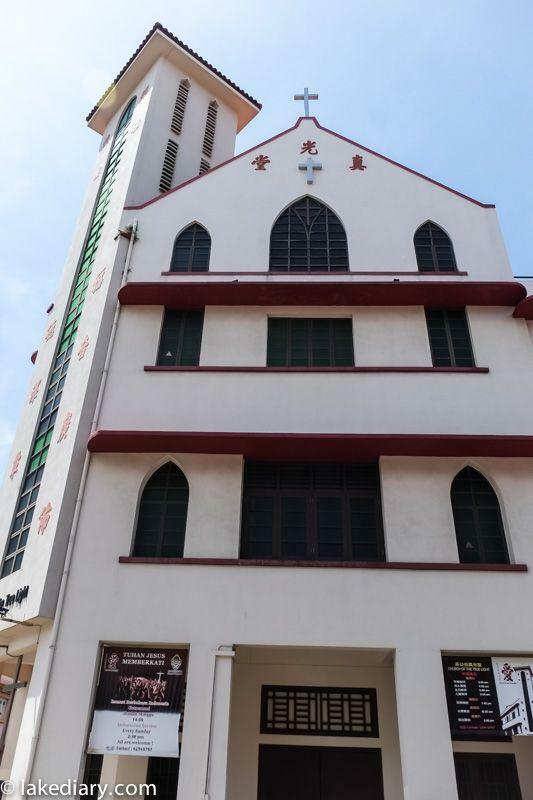 19/21/23 Mackenzie Road, #01-01, Singapore 228678 – near MacKenzie Road and MRT Little India exit A.